Whether it’s through circumstance or by choice, holidaying alone is one of the most gutsy and gratifying ways of exploring the world. Not only does it allow you to devour the delights of the planet at your own pace, but it’s also very liberating not having to worry about anyone but yourself. Of course, solo travel doesn’t have to be a solitary experience; many single holidaymakers end up meeting like-minded people by joining escorted group tours or by booking holidays catering solely for single guests. With this in mind, we’ve put together 10 fabulous suggestions that will inspire you to take a giant leap outside your comfort zone - and teach you how to love your own company. For solo travellers with an adventurous spirit, nothing beats a culture-packed holiday in a far-flung destination. Perfect for those who want to get to grips with a country through its history, architecture, archaeology, art, cuisine, and music, an escorted tour with an exciting itinerary means never being stuck for things to do (or chat about, if you’re a sociable soul). The 14-day Cultural Sri Lanka Tour takes you beyond the tourist trail in the tiny teardrop-shaped island described by sci-fi author Sir Arthur C. Clarke as “the best place in the world from which to view the universe”. Highlights include visiting the Buddha-filled Dambulla Cave Temples, stopping at the “Hill Capital” of Kandy for the Temple of the Tooth, spotting elephants at the Uda Walawe Reserve, relaxing on the spellbinding beaches of Hikkaduwa, visiting tea plantations in Nuwara Eliyaand, and sauntering around the fascinating cities of Negombo and Colombo. Equally impressive is the 12-night Hanoi, Halong Bay, Hoi An & Angkor Wat Tour in Vietnam - South-East Asia’s frenetic and fascinating rising star where the cultural delights come fast and furious. Itinerary highlights include sailing along the UNESCO-listed Halong Bay on an ancient wooden Chinese sailing ship (known as a junk), visiting the atmospheric town of Hoi An, and marvelling at the small-but-elegant capital of Hanoi. Best of all, there’s the chance to fly to Siem Reap in neighbouring Cambodia to marvel at Angkor Wat - the 500-acre soaring temple that’s the world’s largest religious monument. 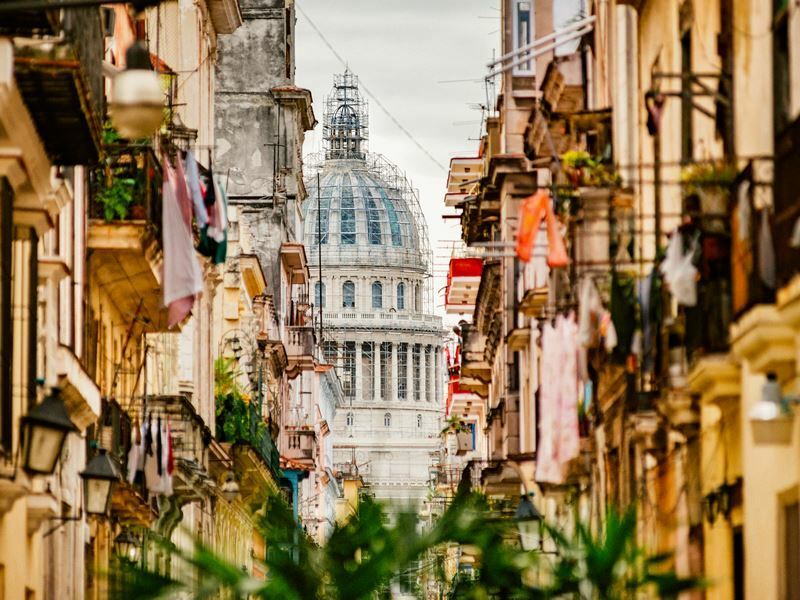 Alternatively, book the 14-night Cuba Colonial Tour for a detailed itinerary that takes to you some of the nation’s most compelling heritage spots, including Havana, Trinidad, Santiago de Cuba, Baracoa, Santa Clara, and Camagüey. It’s impossible to ever feel truly alone in a city like New York. Not only does this glitzy and glamorous metropolis offer a mind-boggling amount of activities and attractions (iconic monuments, big-name museums and art galleries, hip bars and restaurants, excellent shopping) but the sheer size of the crowds means that you’ll never feel like you’re sticking out by being by yourself. 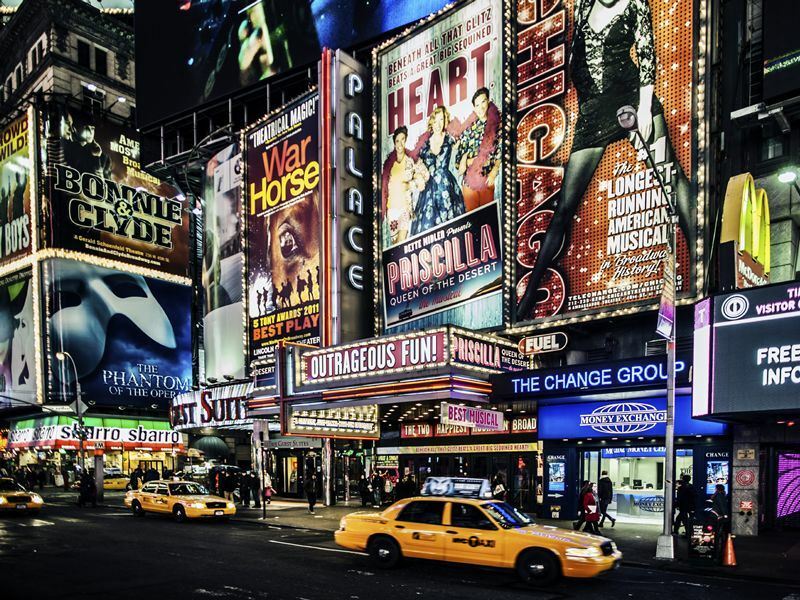 For Big Apple first-timers, the bucket-list ticks are limitless: strolling around Central Park, riding the Staten Island Ferry, marvelling at the Empire State Building, and working your way around arty Soho, trendy Tribeca, and the exclusive Upper East (and West) Side. And it’s all just as dazzling on the accommodation front, especially for those who want somewhere stylish to sleep after days spent scaling the city. The Gansevoort Meatpacking in Greenwich Village and the Loews Regency New York are perfect for luxury-seeking singletons, with both offering relaxed bars and restaurants in the unlikely event that you ever find yourself at a loose end. Further city thrills can be found on the independent 12-night Australia Icons Tour - an itinerary-filled trip that includes luxury travel on the same coach throughout. As well as driving on the Great Ocean Road, watching the sun rise and set at Uluru, and snorkelling the Great Barrier Reef, you’ll get to spend time in Sydney- the country’s unrivalled poster child that temps with sun-blazed beaches, top-tier entertainment venues, a word-famous harbour, and an opera house that’s one of the most recognisable buildings in the world. Also included is a stay in Melbourne, the state capital of Victoria that has a vibe that’s far more European than any of its cosmopolitan rivals. Here you hang out in the spiritual home of Aussie cricket, marvel at awe-inspiring street art, ride the City Circle Tram, and take the 90-minute drive to Phillip Island to see thousands of adorable little penguins make their epic journey along the sands at sunset. Not only do solo-friendly escorted tours promise a hassle-free experience throughout (minimal planning, interesting itineraries, professional guides, choice of accommodation, all travel), but they are brilliant icebreakers. In many cases, your travelling companions will be a mix of couples, singles, and friends of different ages who have a similar desire to explore new places, meet new people, and savour some quality time on their own. For those who want a fun-filled adventure in the USA, the 14-night Western Discovery Tour appeals for its ambitious itinerary and the opportunity for plenty of social interactions along the way. 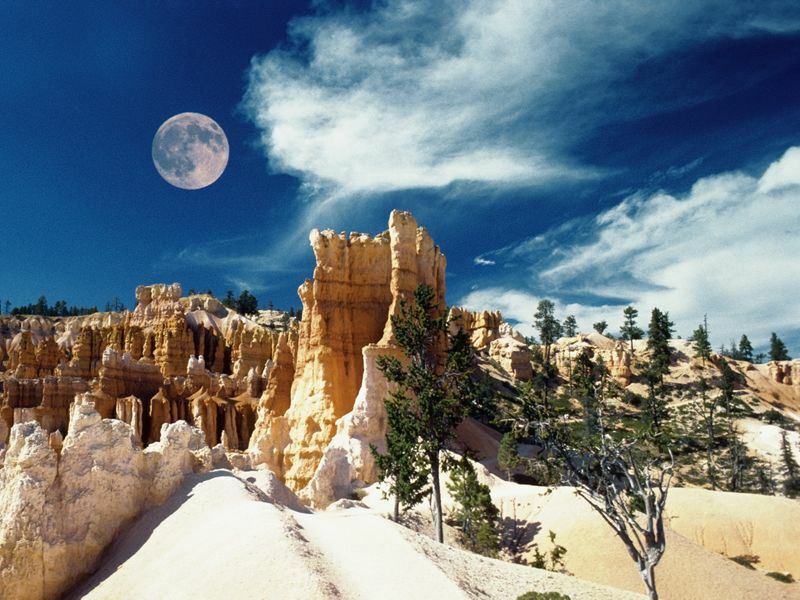 Highlights include the Grand Canyon, Monument Valley, Bryce Canyon, Death Valley, Mammoth Lakes, Yosemite, Monterey, Carmel-by-the-Sea, Las Vegas, San Francisco, Los Angeles, Santa Monica and Santa Barbara. The 15-night Solo Travellers Highlights Tour also stands out for its remarkable itinerary in New Zealand - the rugged and remote Pacific Ocean jewel celebrated for its glacial mountains, glittering lakes, cascading waterfalls, unspoilt beaches, and culture-rich cities. Starting in Christchurch and ending in Auckland, this epic tour includes visiting some of the country’s most buzzed-about cities (Queenstown, Auckland, Dunedin, and Wellington), enjoying a selection of superb cruises (including sailing through Milford Sound), and experiencing a series of special dinners (Haggis Ceremony, Devonshire tea at Larnach Castle, gourmet BBQ on Walter Peak Homestead, authentic Maori Hangi). You’ll also get to ride the TranzAlpine (ranked as one of the world’s greatest train journeys), and enjoy conversation-sparking stops at Lake Wakatipu, the Bay of Islands, Marlborough Sounds, Rotorua, and more. 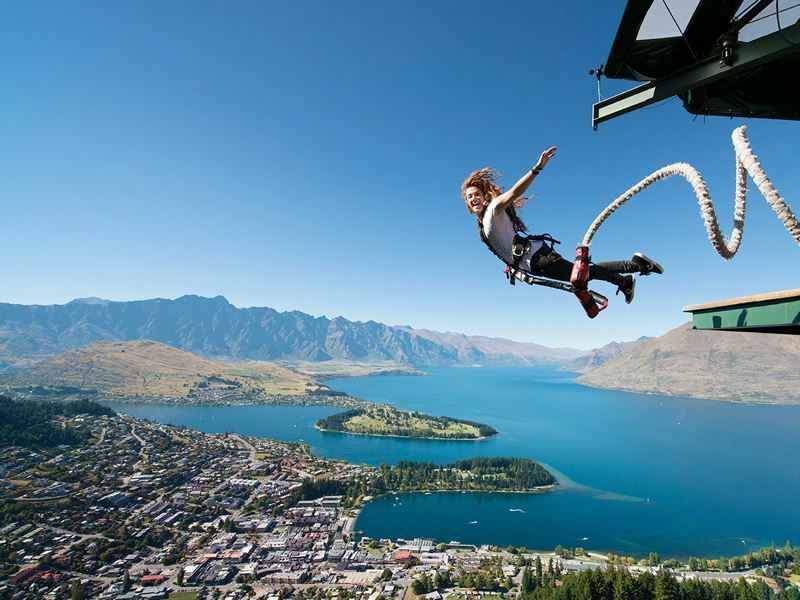 Solo travellers with a keen interest in adrenaline activities are spoiled for choice in Queenstown - the beautiful Alpine-looking village in the south-west of New Zealand’s South Island. Regardless of your age, shape, and fitness level, this self-proclaimed “Adventure Capital of the World” is renowned for its array of jaw-dropping, blood-pumping, and stomach-churning experiences for the brave and the curious. Some of the coolest activities include hiking up Bob’s Peak, teeing off at the 18-object Disc (Frisbee) Golf Course at Queenstown Gardens, and trying your hand at skiing and snowboarding in the winter months. There’s also jet boating, bungee jumping, white water rafting, horse riding, kayaking, hang gliding, ziplining, mountain biking, and skydiving. Recommended detours for active folk include a breathtaking jet boat ride through dramatic and narrow canyons with Shotover Jet - an award-winning Queenstown institution and the only company licensed to operate in the Shotover Canyon. Daring passengers can prepare for gravity-defying 360-degree spins on a powerboat that whizzes past rocky outcrops, skims around crags and boulders, and zooms through the water at speeds of 85kph in as little as 10cm of water. Equally amazing is the Nevis Swing - the biggest swing in the world that’s simultaneously thrilling and terrifying it suspends you forwards and backwards (either alone or with a new-found friend) at high speeds in a 300-metre arc set 160-metres above the canyon floor. For an all-inclusive holiday that really does include absolutely everything, the adults-only Breathless Resorts foster a relaxed and high-end vibe with no kids running around (yours or anyone else’s). Designed exclusively for singles, couples, and friends, these glamorous beach havens all promise Unlimited-Luxury® - an exciting concept that factors in limitless gourmet à la carte dining options, 24-hour room and concierge services, and an elevated level of personal attention. There’s also unlimited beer, wine and international and domestic top-shelf spirits, free pool and beach wait services, minibars refreshed daily (soft drinks, juice, bottled water, beer), and a packed schedule that runs from dawn until dusk. Best of all, you’re assured single room rates so you won’t feel persecuted by high prices for travelling alone. Overlooking Uvero Alto sugar-white sands on the Dominican Republic’s Coconut Coast, the 750-room Breathless Punta Cana Resort & Spa has nine restaurants, eight bars and lounges, eight sensational pools, a sublime spa, and a state-of-the-art gym. The varied entertainment schedule (gala parties, live music, dancing, gaming at the on-site casino, weekly manager’s cocktail party, theatre performances) means that mingling with other guests is always an option. 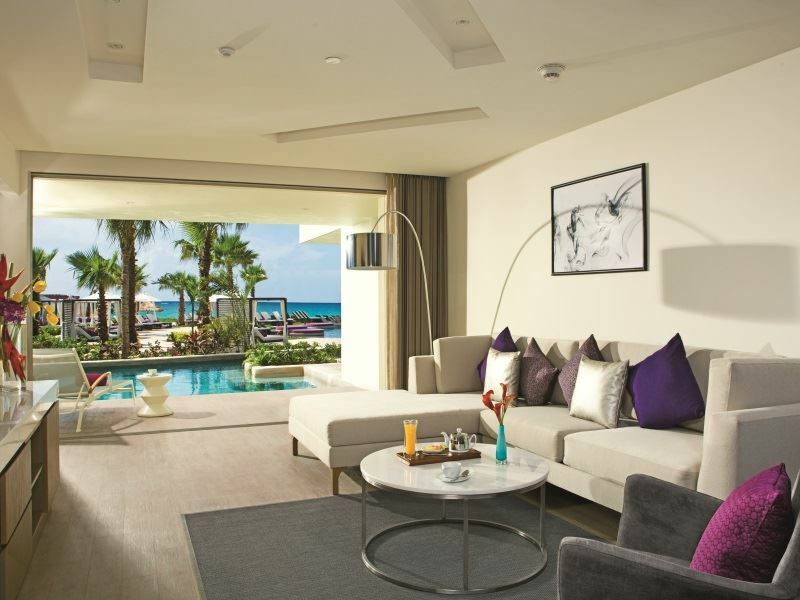 There’s a similar mood at Mexico’s Breathless Riviera Cancun Resort & Spa - a modern oasis nestled along a stretch of golden-sand on the Riviera Maya, between the Caribbean Sea and the Lagoon of Bahia Petempich. Here you’ll find 526 luxury suites, plentiful bars and restaurants, and a head-spinning amount of vibrant parties, shows, and activities that are available almost every night. To experience a country’s landscapes, towns, and cities, a classic road trip with you in the driving seat is just the ticket. 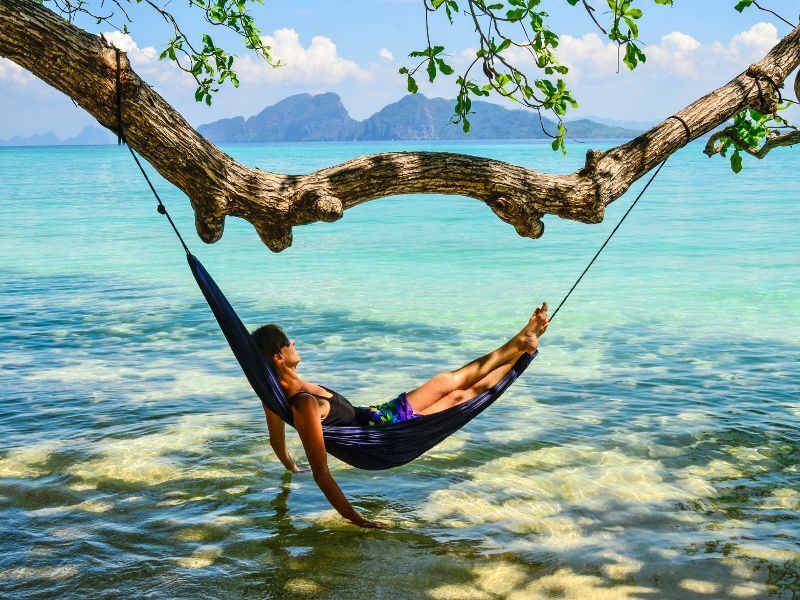 Not only does this type of holiday promise flexibility, freedom, and the joy of the journey, but it puts you in total control of your holiday in terms of what you see, and when you see it. 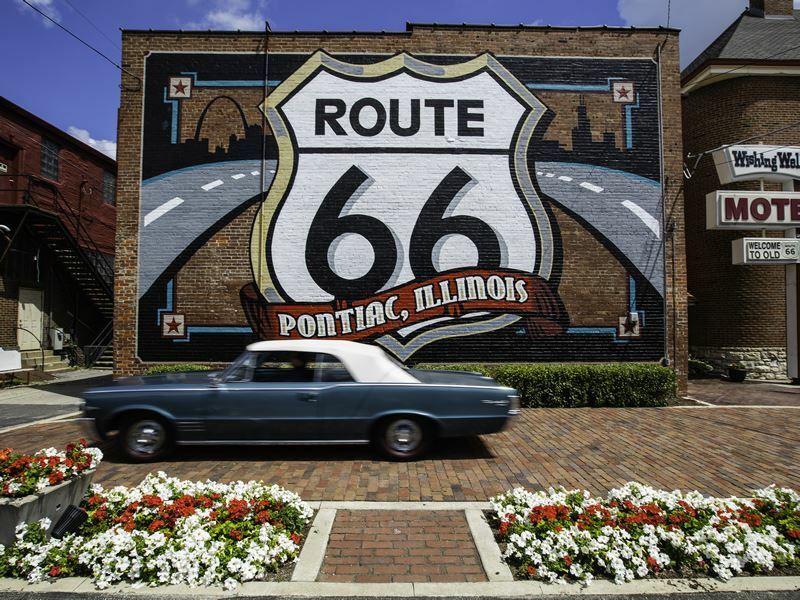 One of the most epic drives is Route 66 - the 2,448-mile-stretch (known affectionately as "The Mother Road") that takes you from Chicago, through the beating heart of America, and down to Los Angeles (the route officially ends at Santa Monica Pier). This two-lane highway has become one of the country’s most celebrated drives - woven into the country’s history through literature (The Grapes of Wrath), song (Get Your Kicks on Route 66), and film (Fear and Loathing in Las Vegas). And even though it was decommissioned by the federal government and made obsolete by faster interstates and, much of it remains drivable today. The 15-night Self-Drive Route 66 Tour includes two nights in Los Angeles, two nights in Chicago, one night in St Louis, one night in Springfield, one night in Oklahoma City, one night in Amarillo, three nights in Alburqueue, one night in Holbrook, one night in the Grand Canyon, two nights in Las Vegas, and two nights in Los Angeles. This is a self-drive holiday that includes return transatlantic flights, economy-size car rental (including fully comprehensive insurance), and your choice of standard or superior hotel accommodation. Recommend points of interest that line this iconic heritage trail include the Cadillac Ranch just west of Amarillo, the tepee-shaped Wigwam Motel in Arizona, and the brilliant Blue Whale of Catoosa in Oklahoma. While the world has plenty of places to satisfy the tastebuds of foodies, few rival Australia’s gourmet capital of Melbourne. Not only is the dining scene here exciting, eclectic, and dynamic - but you don’t need a stash of cash to merrily wine and dine your way across the city (or attend one of the 200 food-related events at the 10-day Melbourne Food and Wine Festival every March). Best of all, all bases are covered; from snacking on tapas in a laneway eatery and trying a Szechuan chilli dish in Chinatown, to breaking out of the CBD and visiting the city's specialist eating destinations (Richmond for Vietnamese, Fitzroy for Spanish, and Brunswick for Lebanese). Some of Melbourne’s best dinner-for-one spots where the incredible food makes for a happy distraction include Dinner by Heston Blumenthal (Whiteman Street), IDES (Smith Street), Coda (Flinders Lane), Minamishima (Lord Street), and Matteo's (Brunswick Street). Further foodie thrills can be found in Japan, especially in Osaka - home to the world's greatest cooking school, the Tsuji Culinary Institute. 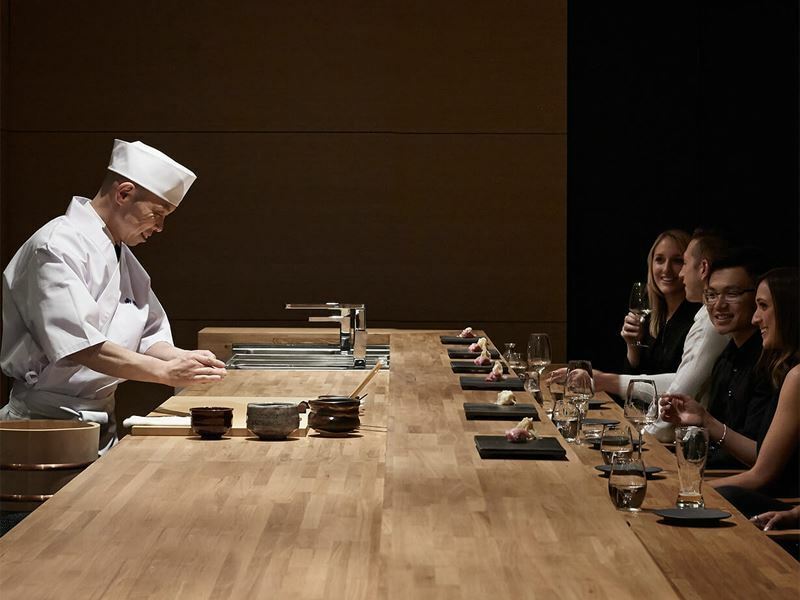 The city boasts a whopping amount of teppanyaki-style restaurants (meaning you’ll have a hot plate incorporated into the dining table directly behind the chef) as well as eateries where you’ll be given the ingredients and left to work things out for yourself. Equally compelling is Tokyo, the city loaded with more Michelin-starred eateries than anywhere else in the country as well as local izakaya and Japanese-style pubs where gourmet delights are washed down with sake and beer. Both cities are nirvana for bon vivants at any time of year, but at their most stunning during autumn’s foliage season and spring’s pastel-pink cherry blossoms that sweep from the south to the north of the archipelago. Ideal for solo travellers wanting to get in shape and enjoy a boost of sunshine, spa holidays present a balanced mix of indulgent treatments, dedicated diet and fitness programmes, and high- and low-intensity training. They also hook you up with like-minded people, all of whom have the same goal of looking and feeling fabulous. One of the most luxurious spa sanctuary’s for single travellers is Tamassa - the buzzy all-inclusive Mauritius resort in the hot location of Domaine de Bel Ombre in the island’s southwest. Here you’ll find 214 sea-facing rooms set in an arc around four fantastic outdoor pools, several top-notch wining and dining spots, an on-site nightclub, and an incredible LUX* Me spa for luxurious facials, massages and body scrubs. There’s also invigorating yoga classes, personal training sessions, and a free Body Balance Analysis so that the professional fitness team can devise a schedule just for you. Alternatively, the BodyHoliday on St. Lucia’s northwest coast is the all-inclusive wellness resort that delivers on its promise: “Give us your body for a week and we'll give you back your mind”. In addition to 155 luxury rooms and suites, three restaurants for super-healthy cuisine, and piano bar for end-of-day drinks, it comes with an award-winning spa that has 47 private rooms for a deep menu of treatments and therapies designed to help you unwind, recharge, and rediscover a sense of well-being. 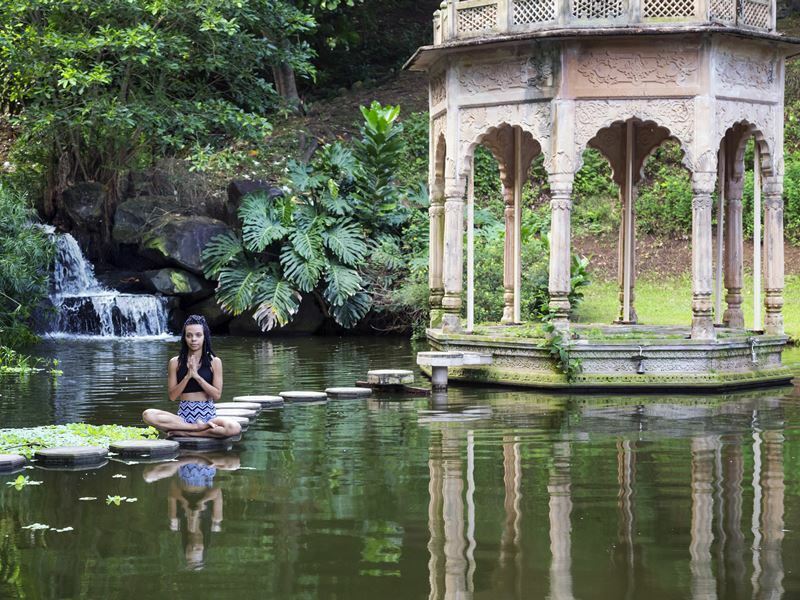 Further highlights include an Ayurvedic Centre, a state-of-the-art Body Science Clinic, a range of mindfulness and yoga sessions, and a fun-filled schedule of group classes that cover all aspects of cardio, aerobics, dance, and holistic exercise. Super-sporty guests can even take part in the Quadrathlon - a test of stamina that includes a 13-kilometre mountain bike ride, four-kilometre run, 100-foot abseil, and 2.5-kilometre kayak course. Africa will always fulfil every wild wildlife fantasy with magical landscapes, incredible animal viewing, and the excitement of the unexpected. Most importantly, a safari adventure is very much a shared experience, so even when you travel alone you’ll have tens of thousands of wild animals joining you on the savannah (some of whom may end up being more entertaining than your fellow tour companions). Once you’re committed to this type of holiday, the options can be a little overwhelming - especially for first-timers. Most recommended for single travellers on safari is to stay in the camps and lodges - many of which offer experiences that can be personalised to you (gorilla trekking, the great wildebeest migration, hot air-balloon ride, guided day or night drives, and much more). It’s also worth noting that while many camps charge a single supplement, there’s a few that don't. Also, if you’re not restricted by timings, travelling outside peak season does tend to minimise the supplement you'd have to pay. 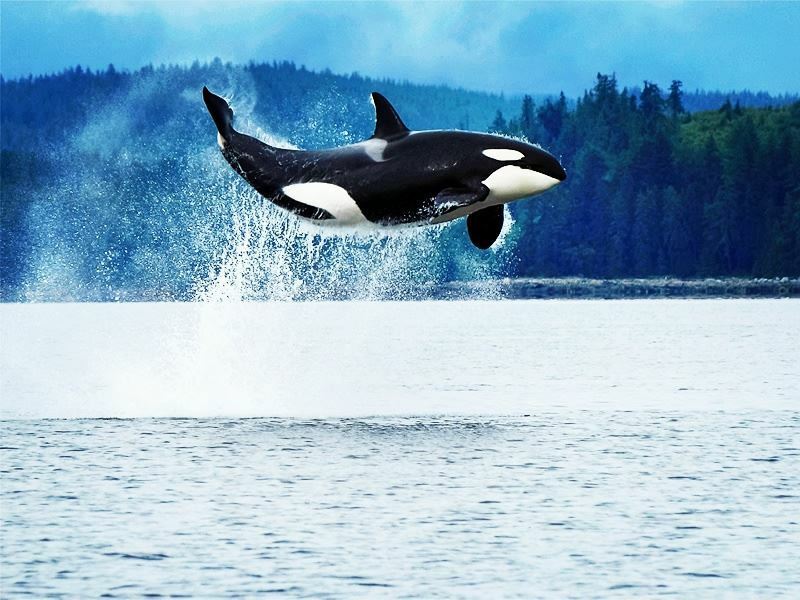 Another idea is to soak up the wildlife-rich delights of Vancouver on the 10-day Whales & Bears of British Columbia Tour that caters for small groups of no more than 12 people. Complete with a professional tour leader throughout, you’ll get to visit the “Salmon Fishing Capital of the World” and learn about the cultures of the First Nations groups, enjoy a whale observation zodiac cruise in Pacific Rim National Park to stake out humpback, grey and orca whales, and visit sheltered bays to spot black bears. Further highlights include ferry journeys to and from Vancouver Island, scenic hikes, and visits to Cathedral Grove, Elk Falls, and Quadra Island. You’ll also have ample time to explore the city of Vancouver where highlights include Stanley Park for its brightly-coloured First Nations totem poles, flower-filled gardens, sandy beaches, and forest trails, Gastown for its cobblestone streets, Victorian buildings, artisan shops and heritage monuments, and Granville Island for its vibrant public market and frenetic street activity. There’s no shortage of islands that are conducive to solo travel, so long as you do your research and choose your accommodation carefully (it helps to avoid the resorts that cater mostly for families). Even if you love your own company and want to do little more than curl up on the sand with a book all day long, it’s often better to book somewhere that offers basic back-up facilities in case you go stir crazy (swimming pool, restaurant, bar, spa, gym). 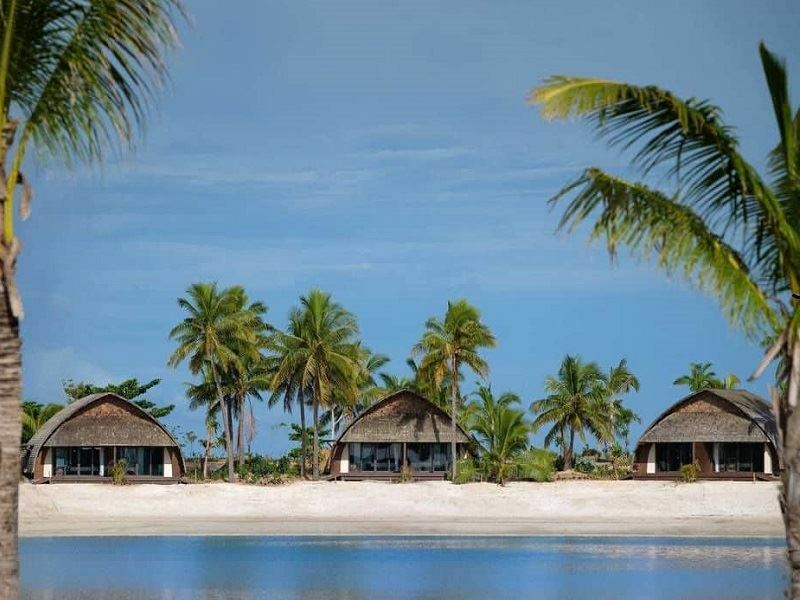 One place that ticks the boxes for singles is Fiji - the South Pacific archipelago that’s all ravishing beaches, turquoise lagoons, and swaying palm trees. A stay at the Fiji Marriott Resort Momi Bay on the western coast of Viti Levu island promises the best of all worlds: luxurious over-water villas, excellent restaurants, three pools, a sublime spa, and plenty to see and do nearby (Sigatoka Sand Dunes, Port Denarau Marina, Garden of the Sleeping Giant, and Momi Gun Site). Further tropical bliss can be found in the remote yet accessible Cook Islands - the South Seas idyll made up of 15 diverse volcanic islands and coral atolls. Staying at the adults-only Aitutaki Lagoon Resort & Spa directly overlooking over the world-famous turquoise lagoon on Aitutaki Island, you’ll be spoiled for choice with overwater rooms or beachfront bungalows on the powder-white sands, two great restaurants, a fabulous spa, and a choice of non-motorised activities. Should you ever manage to drag yourself away from this laid-back paradise, must-dos include taking an excursion to the main island of Rarotonga, booking a cruise to the surrounding islets, hitting the hiking paths leading to Raemaru Mountain, and treating yourself to a full-day aerial tour to marvel at lush rainforests and palm-fringed shores from above.